Patricia Holt began her publishing career in the New York and Boston offices of Houghton Mifflin Company in 1969. In the mid-1970s, she joined with publishing friends in New York to launch a co-publishing venture called San Francisco Book Company, where she worked as senior editor and publicity director. In 1978 she became Publishers Weekly‘s first full-time Western Correspondent, reporting on publishing news from the Rockies to Australia and Mexico to Alaska. Pat was book editor and critic at The San Francisco Chronicle for 17 years and co-founded the Bay Area Book Reviewers Association, where she originated the idea for an annual book awards presentations. The first nonlibrarian in 40 years to receive the American Library Association’s prestigious Grolier Foundation Award, Pat was elected to the board of directors of the National Book Critics Circle and later became its vice president during a six-year term. She was also a board member of The Center for the Book at the Library of Congress, where her proposals for a national “Year of the Reader” and “Year of the Young Reader” were approved by Congress and signed into law by the president. She also created and raised funds for a “Year of the Reader” office in San Francisco. Pat is the author of The Bug in the Martini Olive, a biography of San Francisco private detective Hal Lipset, published by Little, Brown, and reprinted as The Good Detective by Pocket Books. 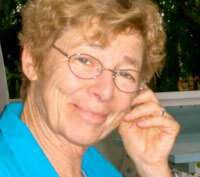 She created and wrote the introduction for Alice Walker Banned (Aunt Lute Books) and was first editor for her late partner Terry Ryan’s memoir, The Prize Winner of Defiance, Ohio (Simon & Schuster), as well as chronicler of Terry’s adventures in the publishing trade (see The Terry Ryan Columns at Holt Uncensored). Increasingly concerned about the plight of independent bookstores in their struggle to survive wave after predatory wave of chain bookstores, price clubs, discounters and Amazon.com, Pat began Holt Uncensored in 1998, one of the first websites on the Internet to provide a realistic assessment of the book publishing industry and the writers who contribute to it. Today as lawsuits fly and the foundations of publishing change, a full-fledged revolution has overtaken the book industry. Corporate entities battle for control while writers find themselves freed to self-publish yet caged by promises of the Internet. Since 2000, Pat has facilitated monthly book group discussions at Book Passage Bookstore, and more recently Point Reyes Books, in Fall and Spring monthly sessions. Patricia Holt can be reached at pat@holtuncensored.com .